Fully SOLD OUT!!! 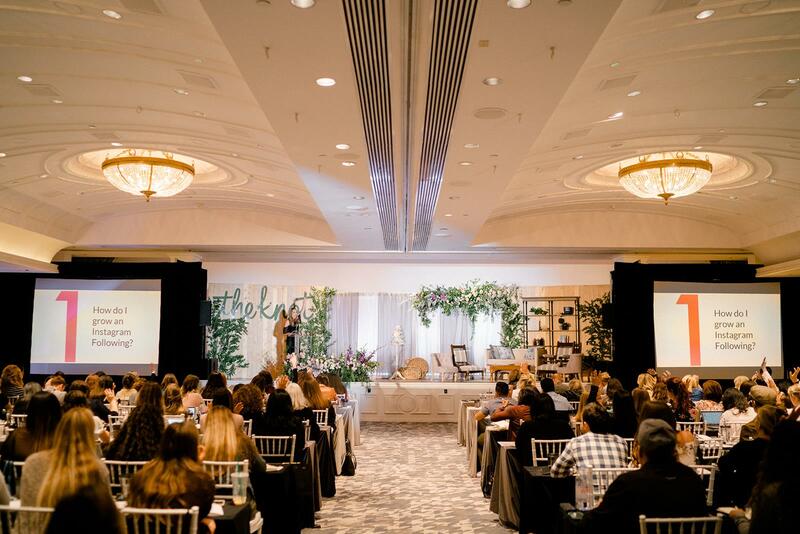 Held at the urban glamorous US Grant Hotel in downtown San Diego, this all day workshop taught hundreds of Southern California wedding professionals all about trends, techniques, tips & tricks through wonderful special guest speakers from around the industry. 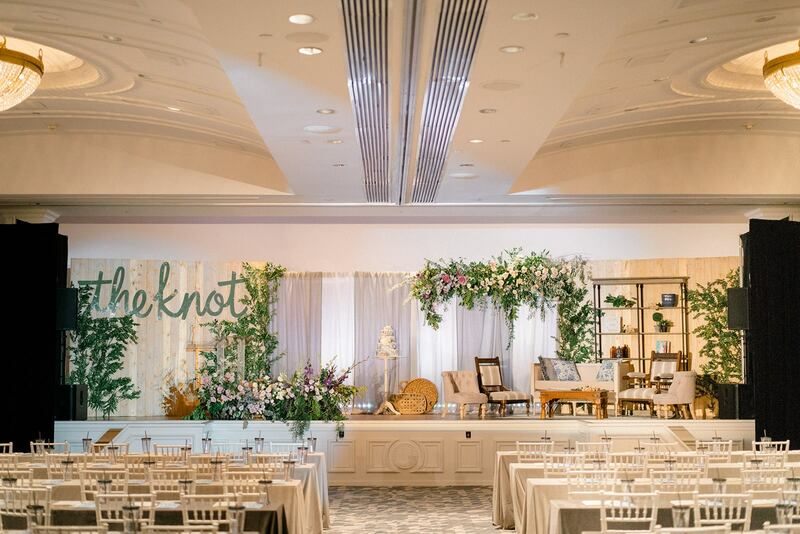 What an absolute honor & thrill to be invited by the SERIOUS WEDDING PROS at the world’s biggest wedding website TheKnot.com to sit on their panel of pros from only 5 companies at their recent The Knot Pro Workshop! 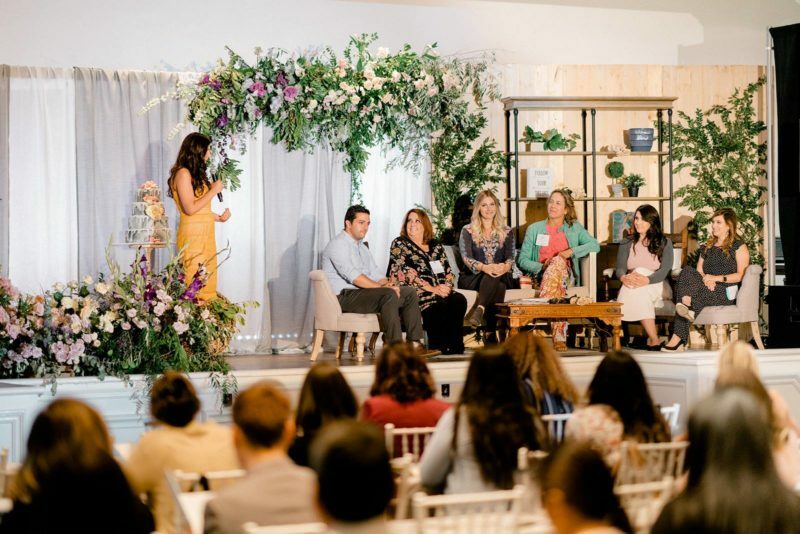 Seated on stage next to some really impressive business owners, I felt so proud to represent Team Cheeks as “The Right Cheek.” We’d all been asked to talk for good reason. We work hard to go above & beyond. 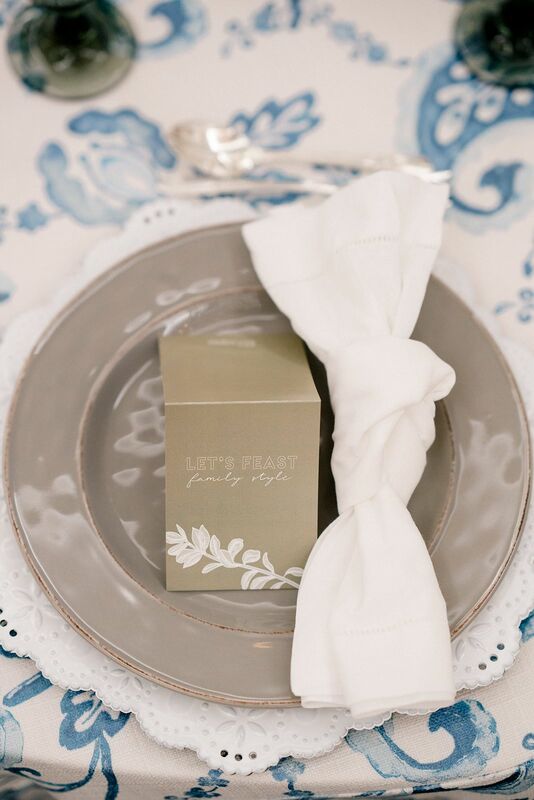 It takes a LOT of work and patience to manage weddings well. Flanked by 2 fabulous LA-based photographers – Yair Haim Photography and Marlies Hartmann (M. Hart Photography), the musical genius Susan Foster of Encore Event Entertainment, and our dearly talented friends Krissie & Liz at White Lace Events, I had a blast fielding questions from The Knot’s very own Anja Winikka, Director of Education + Industry Innovation (and the woman who teaches the webinars on TheKnot.com regularly)! Very cool. We had the crowd laughing and nodding their heads, as so many of us relate to the trials, challenges, and joys of this business. When it comes down to it, I really don’t think there are too many personality “types.” I think we all have the same issues and crazy requests, just working around different product. It’s eye opening and reassuring to know that we are all doing our best and pleasing so many people with our wedding skills. 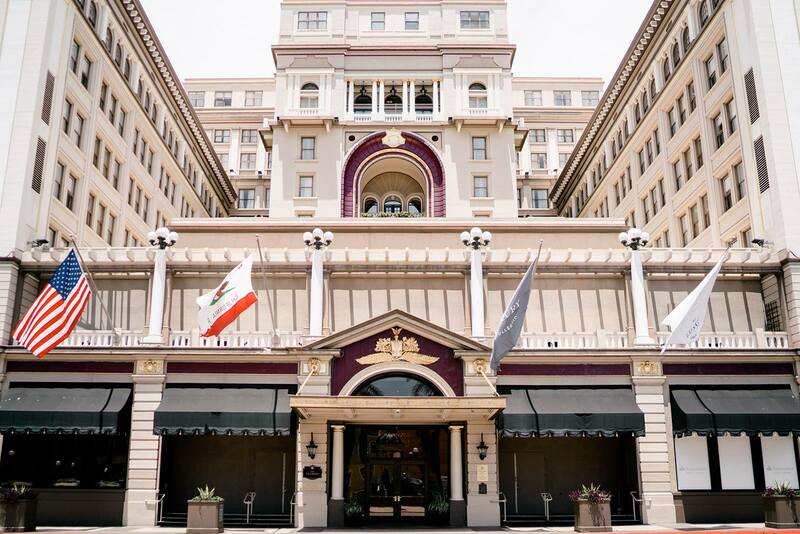 Very cool vignettes, including a “Head Shots” booth by France Photographers, a rolling Sicilian Breeze Gelato station, and trays of gold glittering cotton candy Champagne Cocktails added beautiful touches to the gorgeous Presidential Ballroom and Palm Court settings inside the US Grant Hotel. 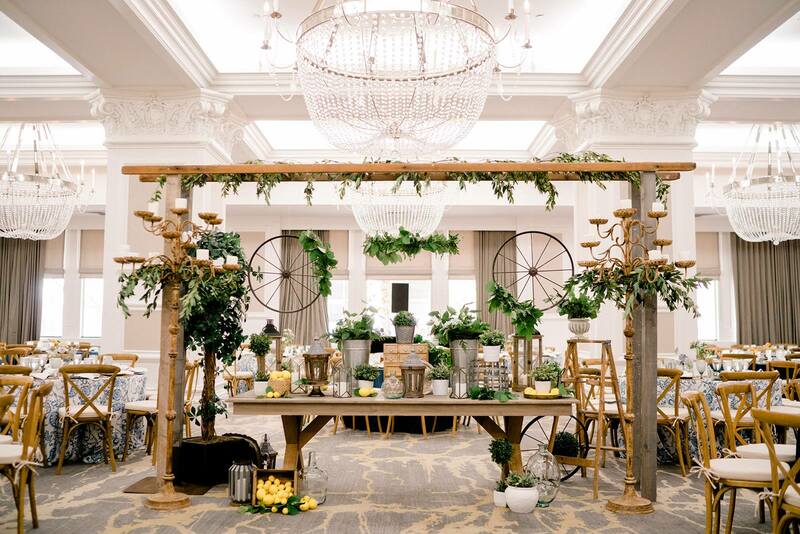 Design & decor done by White Lace Events, TBDesigned and Nuage Designs, Inc. among others transformed and softened the downtown hotel into a countryside living space! So beautiful, we have such talented friends! Check out a few photos from the day!